Daniel Maria Thurau is a German visual artist who has had several gallery and museum exhibitions, including at the Kunsthaus Erfurt. 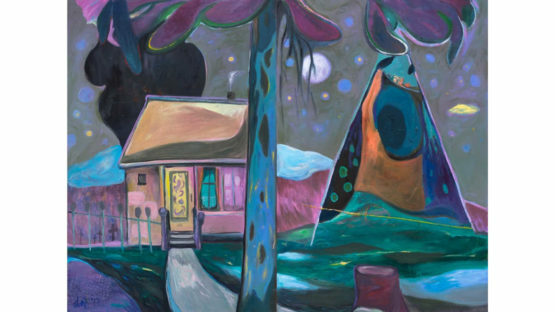 He incorporates the impulses of art history, seemingly incidentally reminding us of Paul Gauguin’s Landscapes and the emotionally charged work of Edvard Munch and Pablo Picasso. It is impossible to define or classify into genres, as he likes to bring contrasting movements together and reconcile elite and popular culture by treating both honestly and using humor as a link between them.